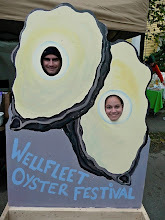 A fun and educational video about a benefit of oysters, cleaning our waters! The Perennial Plate Episode 86: Mine Oyster from Daniel Klein on Vimeo. For more information about Daniel Klein and The Perennial Plate, visit http://www.theperennialplate.com/.